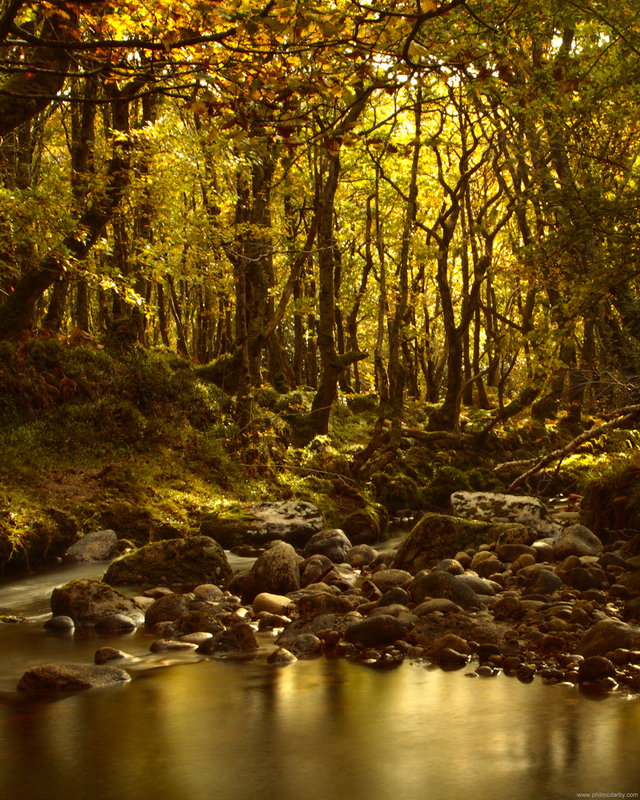 The Glencree Valley is one of my favourite places – especially as the leaves begin to turn red and gold. It’s a bit of a hike to get down into this forest – but once you’re in, it’s another world. This was a long exposure, probably 10 seconds – made the surging water look like silk. The sunlight only peeked through for a few moments so was chuffed to catch it.